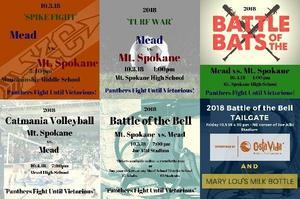 It's a busy week for the Mead Panthers. We host our 2nd Annual Street Fair on Tuesday, beginning at 5:30pm and Wednesday's 4:00, Soccer game @ Mt. Spokane kicks off "Battle Week!" Read More . . .
Join us as our theater department puts on the play Flowers for Algernon. The play will run November 7-9, and November 14-16. All shows cost $6 and begin at 7:00 PM in the Mead theater! Our school will participate in the Healthy Youth Survey this October. The survey asks questions about risks for injury, health outcomes, and alcohol and drug use. Schools, state, and local agencies use survey results to support our youth and reduce their risks. 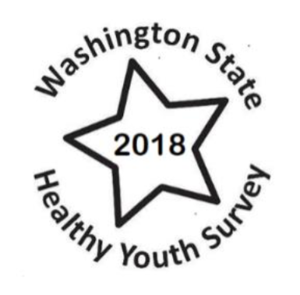 The Healthy Youth Survey is voluntary and anonymous and provides important information to guide policy and programs that serve our youth. SCHEDULES, ROSTERS, TEAM PHOTOS & MORE! Class of 2022, we see YOU! 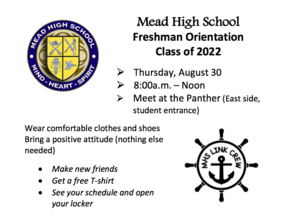 Frosh & New Students—YOU belong! We can’t wait to show you and walk the talk. 💙💛 2022, we see you! 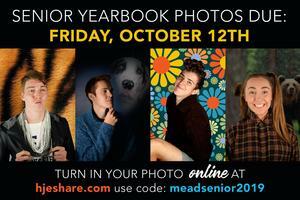 Photos need to be submitted by FRIDAY 10/12/18! Important testing information for sophomores, juniors, and seniors. Both of these testing opportunities will take place on October 10th! Click the heading to find out more details. You are invited to join a college fair and FAFSA night at the NEWTECH Skills Center on October 4th from 5:30-7:30 PM! 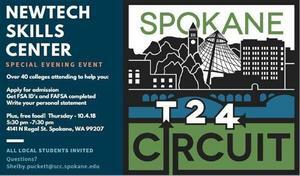 Financial Aid representatives will be on hand to help you through the entire process. Purchase Your Greater Spokane League Sports Pass Today! Purchase a GSL Sports Pass for the 2018-19 season to save on admission to sporting events throughout the GSL. As you know, we have an epic yearbook! As of 2017 the MHS yearbook staff no longer accept photos on CD, USB or in print. 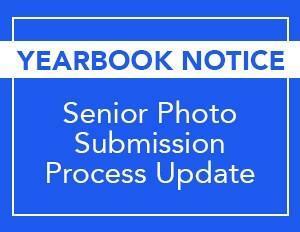 The process for turning in your child’s senior photo is now done electronically. We have set up a secure online account with our publisher, Herff Jones in which parents and/or professional photographers can upload a senior photo.